Is it too early to start talking about fall? Believe me, I have no desire to hurry time. Time is moving much too fast already. However...clothing companies are beginning to share their Fall 2014 collections and I'm seeing garments and accessories that I think might jump start my fall wardrobe. 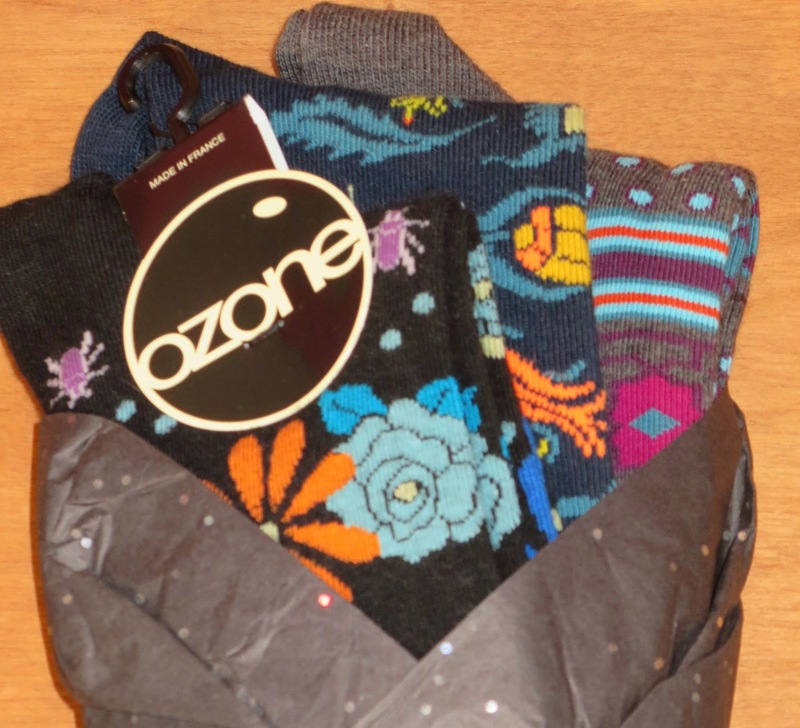 One such company, Ozone, recently sent me three pairs of stunning socks from its Fall 2014 collection. Living in the Northeast, I wear socks a lot--9 out of 12 months. I get pretty tired of wearing ho-hum black, navy or grey socks day after day. So...I'm always on the lookout for socks with personality--even if I'm the only one who sees them. If you feel the same, you might like to take a peek at the fall sock collection at Ozone. The company has a large collection of gorgeous, colorful socks. 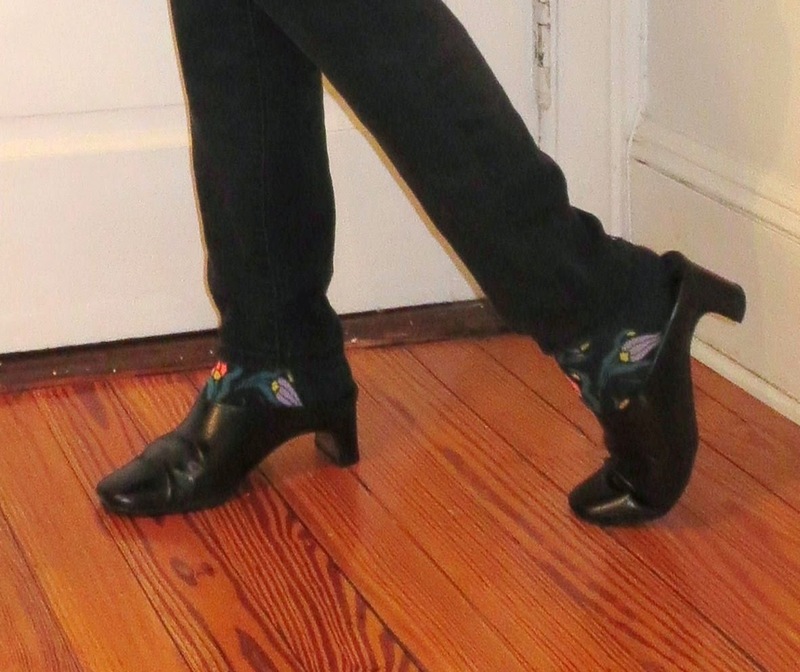 Take, for instance, the pair of Floral Angora ($14.00) I'm wearing (above and below). The socks, which are made in France, are decorated with bright flowers, dots and...a row of purple beetles. It's pretty easy to find socks that meet the first three goals. However, finding unique socks can be a challenge. As I searched the Ozone website, I was astounded by the enormous variety. Apparently, the Ozone company has enlisted artists and designers to create the lovely collection. The sock collection ranges from the ever-popular stripes, animal and camouflage prints to the most beautiful and original designs.The socks, which are sold around the world and in over two thousand stores in the USA, are buttery soft and comfortable. 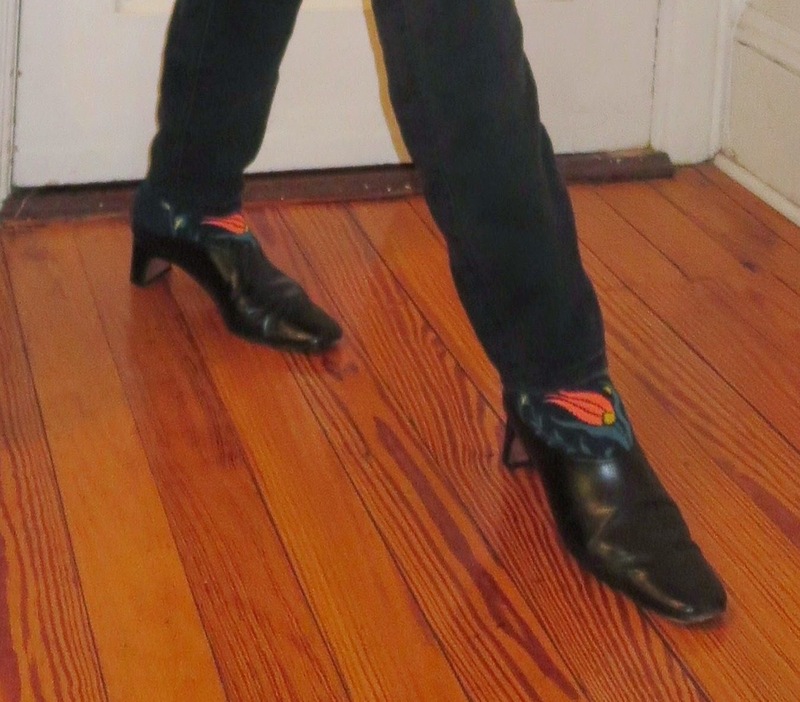 A colorful pair of socks is a great way to add a little "pop" to an understated outfit. I've added a pair of gorgeous Turkish Garden socks ($13.00) (below) to an otherwise ultra-simple black and white look. 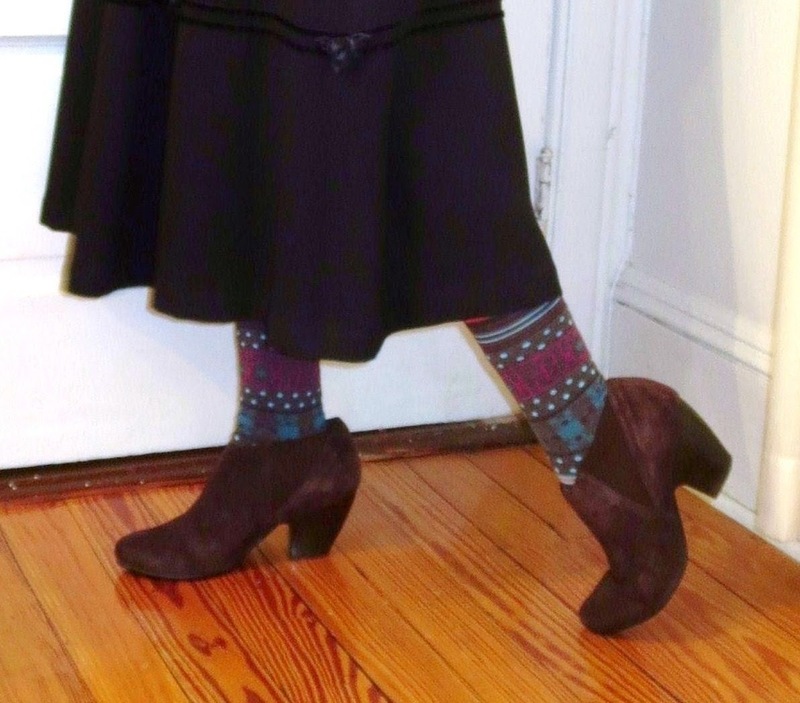 Below, the Kufidot socks ($13.00) adds a little whimsy to my fall weekend look. Who doesn't need a little whimsy at the end of the work week?